In an effort to give the citizens of New Mexico a real look into the state’s abortion industry, a pro-life group has put together years of shocking research and presented it to state lawmakers. 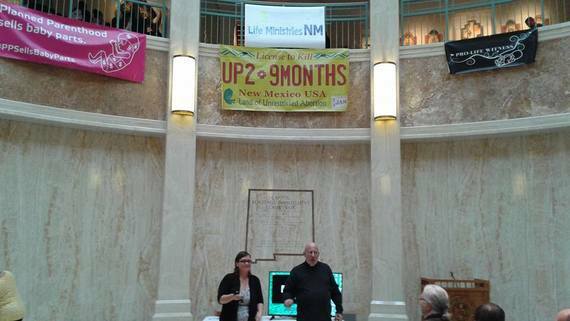 Life Ministries NM, founded by Fr. 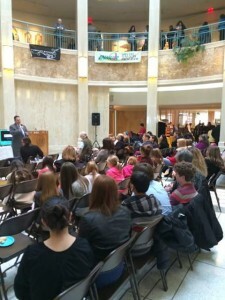 Stephen Imbarrato, compiled the information into a 45-minute video, which was shown to New Mexico legislators at the State Capitol in Santa Fe with the hope that principled politicians will sponsor and pass pro-life state legislation. New Mexico is one of only a few places in the world which allows unrestricted abortions after 24 weeks gestation. According to Tara Shaver, Senior Policy Advisor for Life Ministries, a group of approximately 100 pro-lifers filled the Capitol’s rotunda on January 26th, just days after the anniversary of Roe v. Wade, to view the video, which included footage from Live Action’s investigations as well as reports from Operation Rescue and undercover phone calls compiled by local activists. Shaver previously attempted to show lawmakers footage of numerous emergency 911 calls to New Mexico abortion facilities, but her efforts were quickly shut down by the 2015 committee chairman. Pro-life State Senator Craig Brandt, whose bill requiring abortionists to have hospital admitting privileges was tabled that same year, joined Shaver and Fr. Imbarrato in their presentation. They don’t do well women exams, STD testing or even have the ability to detect a potentially life threatening ectopic pregnancy. 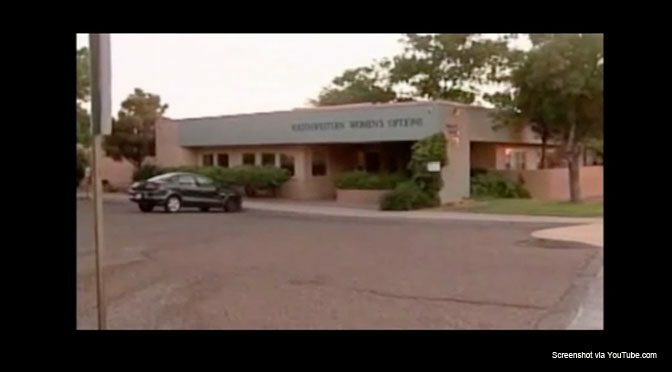 SWO is also caught showing how professional their health services are to women in footage obtained by Live Action when they send late-term abortion patients to local hotels. Does healthcare really consist of instructing women to unlock their hotel door until the abortionist arrives and in the meantime push your dead baby into the toilet? Parts 2 and 3 will be published soon on Protest ABQ’s YouTube channel.